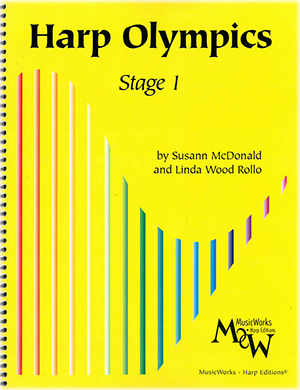 As a harpist, you have lots of choices available to you for printed harp music. PDF downloads are quick and easy, and sometimes are free. But a full-color printed harp score makes a wonderful gift, and provides a more professional presentation at gigs. At The Harp Connection we have over a thousand harp music titles in stock, and you can browse our harp music by title, by composer-arranger, or search by your interests. Very handy for finding all arrangements of "Canon in D"! Check out all titles by Bach! Choose your areas of interest, then click Search!